The idea of converting unused railroad lines into recreational trails has sparked a huge network of “rails-to-trails” across the country. Given today’s hot topics such as re-use and recycling, it’s easy to see why the rails-to-trails movement is right “on track” with being green and environmentally-friendly. 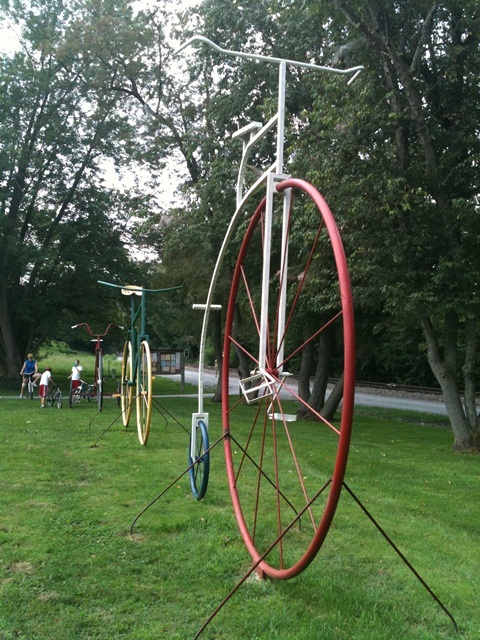 And best of all, rail trails provide lots of fun and exercise for families! 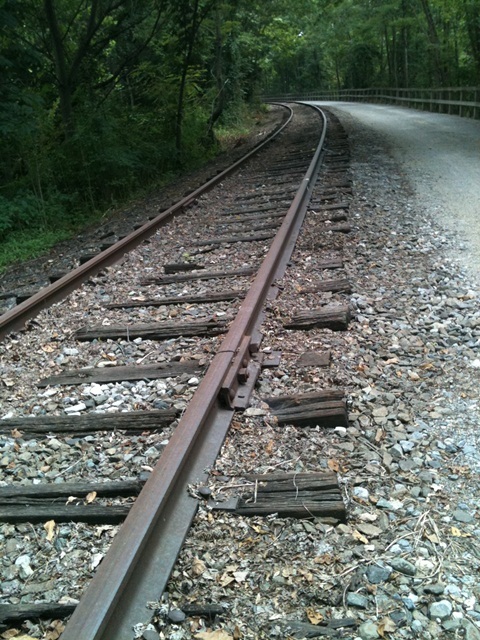 The gently-graded Heritage Rail Trail traverses a corridor stretching from the city of York southward to the Maryland line. The vistas along the way are varied: lush, green cornfields and farmland; picturesque York County towns and villages; rugged, rock-lined pathways; flowing streams; and the always-present, graceful bend of rail line aside you. 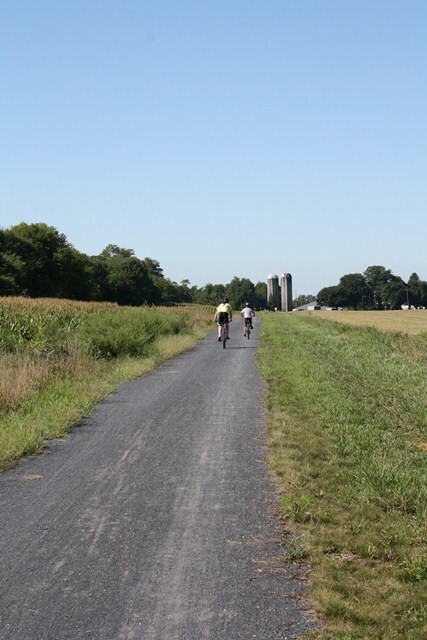 After a number of fun outings on the Heritage Rail Trail, we also tried the Cumberland Valley Rail Trail, also in central PA. This trail borders tranquil stretches of rolling farmland, corn fields and dairy farms set against the blue-green Appalachian Mountains in the distance. Recently, interpretive wayside signs were added to the trail, so we enjoyed taking a few breaks to read about what we were seeing along the trail: Pennsylvania’s rich tradition of agriculture, Pennsylvania’s role in the Civil War and the history of railroads. Owning a bike rack and/or large vehicle is the key to enjoying rail trails, unless you’re lucky enough to live close by one. Bike racks are great investments! My family of five is always up for adventure, and our trips have ranged between a quick 8-mile ride to a day-long 22-mile excursion. We always pack plenty of water and granola bars for quick snacks along the trail. Another family rule: always wear helmets. And one of the best safety features of a rail trail: no vehicle traffic. 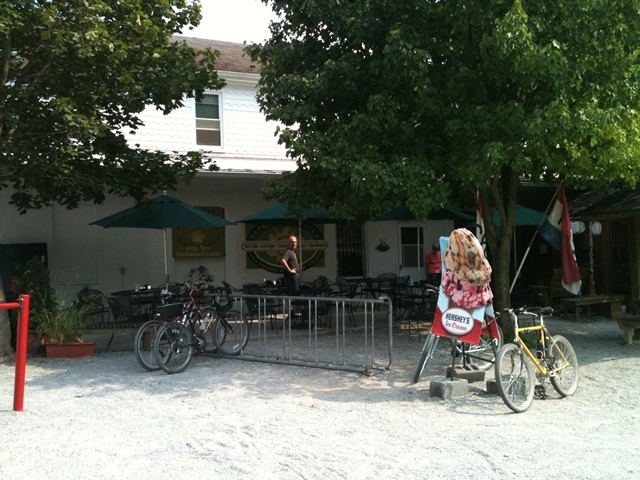 Unlike neighborhood streets, there are few worries about traffic, although there are certainly other bikers, walkers and runners on rail trails, and it’s best to stay right. Also, there are numerous places where trails cross active roadways so it’s best to disembark, look both ways, and walk your bike safely across to the other side. Although there can be slight grades, rail trails are fairly flat due to their previous usage as railroad lines, which makes them extremely user-friendly for families. The Capital Crescent Trail, connecting Silver Spring, MD with Washington, D.C. and historic Georgetown – along the Potomac River. The Greenbrier River Trail, spanning 77 miles through wild West Virginia, and including numerous bridges and tunnels along the way. This trail is considered one of the premier trails in the country. The D & L Trail – Lehigh Gorge State Park Trail, located in the Pocono Mountains of PA, this trail features a series of waterfalls and rock features, yet still maintains a fairly even grade. 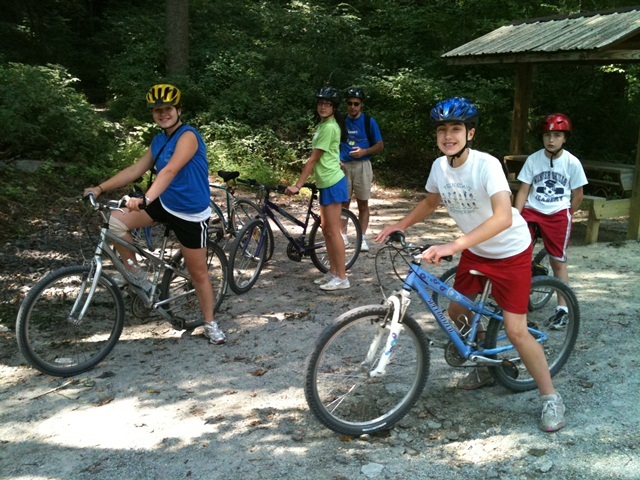 The Great Allegheny Passage, the longest rail trail east of the Mississippi! Boasting 150 miles of trails through western PA and MD, this trail features gorgeous mountain vistas, numerous tunnels and crosses the Eastern Continental Divide. Have you discovered a fun way for your family to stay fit? Can you recommend a great rail trail in your area? Let us know by leaving a comment below – thanks! Great article, Karen! We love riding rail-trails especially because there is no (well, very little) vehicle traffic to worry about and they are relatively flat. Thanks, Robb, glad you too have discovered rail trails! Can you share some of your favorite trails?